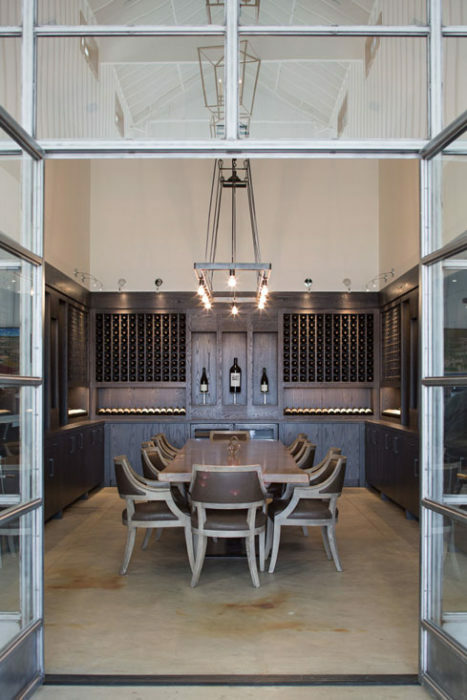 Private tastings within the CCL room (pictured above) accommodates up to 12 guests and are hosted by a tasting room associate. Please fill out the “Make An Appointment” form below to request a private tasting. A private, seated tasting featuring six wines including barrel samples. One (1) tasting fee waived per every six (6) bottles ordered or per each wine club sign up. A private, seated tasting featuring eight wines including the allocated CCL wines. CCL is 250 in roman numerals signifying the Dierberg family’s 250-year plan as each of the three CCL wines represent the pinnacle of the three vineyards. One (1) tasting fee waived per every three (3) CCL bottles purchased or per each Collector’s Wine Club Signup. A party of 8 or more people within the tasting room. A variety of five current release wines. Reservation must be made three weeks in advance and place a credit card on file to finalize reservation. In the event of a no-show the card on file will be charged for all tasting fees. One tasting fee waived per every 3 three bottles purchased. Four tasting fees waived per every wine club membership. Due to significant tasting demand, we ask that you reserve your private experience in advance. To submit your appointment request, please fill out the form below. If you have any issues or additional inquiries, please call (805) 697-1452 or email reservations@dierbergvineyard.com. We cannot guarantee your specific requested time but will contact you to confirm your requested date and time or offer an alternative. Please allow 60 to 90 minutes to taste. Reservations require a minimum 48 hours in advance notice. A credit card is required to book a reservation. Cancellations within 24 hours are non-refundable.